The older you get (at the risk of sounding 342), the more you realise that some things in life, some events, some evenings, some meals, some slivers of happiness are there to be savoured and will never be repeated. Such was tonight. A purely by chance email from Manchester Confidential with the by-line ‘travelling kitchen’ caught my eye, I had the time (rare!) to peruse, book and pay for tickets to the opening night (£22.50 a head – utter bargain), and I am SO thankful I did. As a home cook and passionate food lover, it will will forever rate as one of the best foodie experiences of my life, for the flavours, the fun, the company, the interior, the, well, the everything. 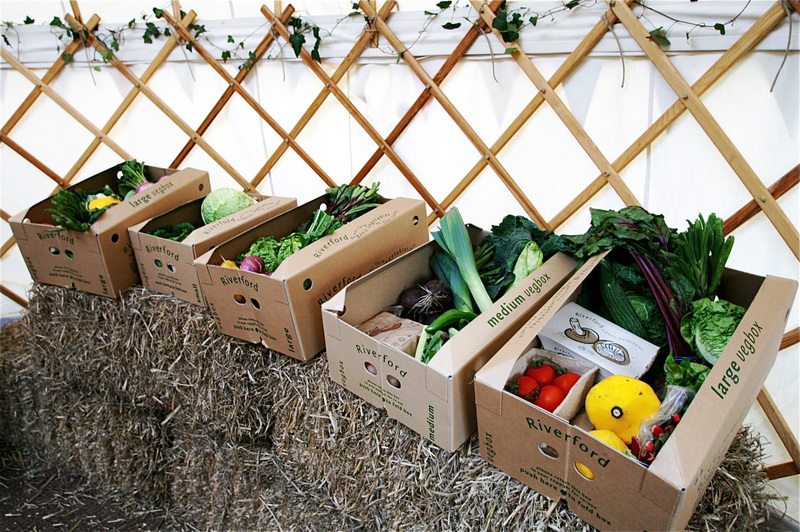 Riverford Farm in Devon is famed for it’s superb organic fruit and veg boxes, delivered throughout the SouthWest and now, through links with satellite farms, over 47,000 are dispatched a week in the UK. Not content with just that, owner Guy Watson (he of the veggie shirt in the pics below) then opened the award winning, critic wowing Field Kitchen restaurant, but, how unfair, you could only really go if you lived Dahn Sarf in Devon. Solution? 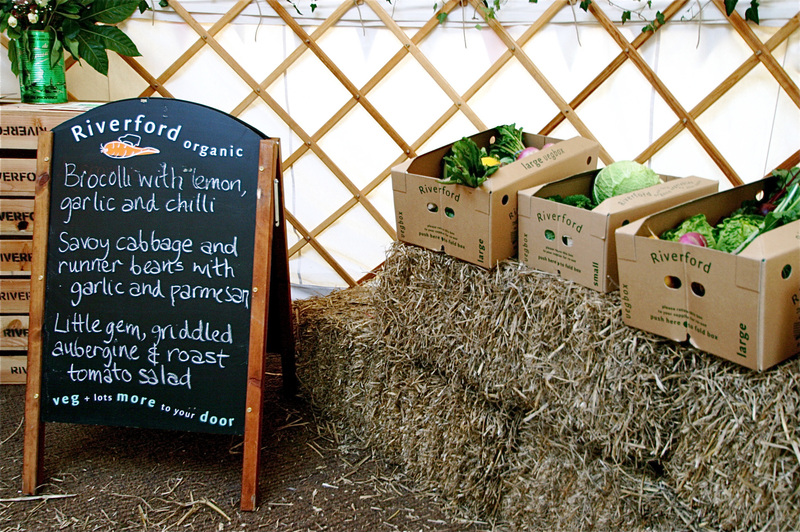 The Riverford Travelling Kitchen, much, much more than a pop-up restaurant and where we had our stupendous meal last night. 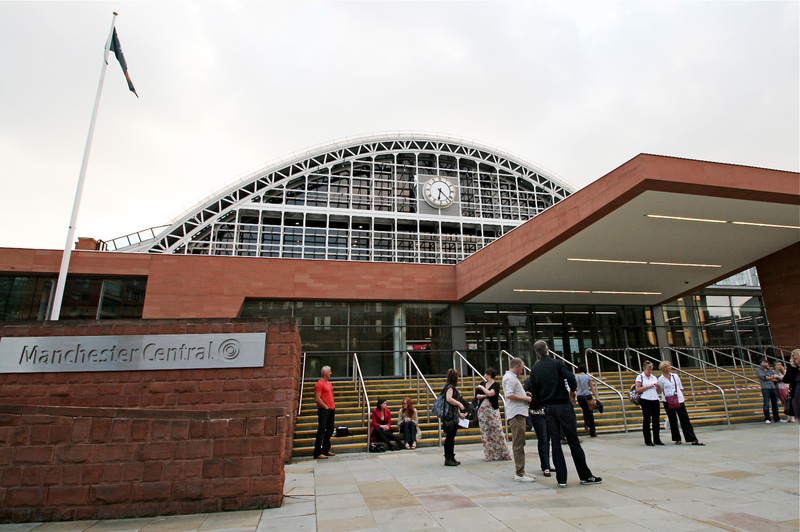 It was a bit of a rush after the mania of Green Tea and filming with ITV at Rose, but we made it to the rendevouz point at Manchester Central for a little after six, where the coach was picking us up. 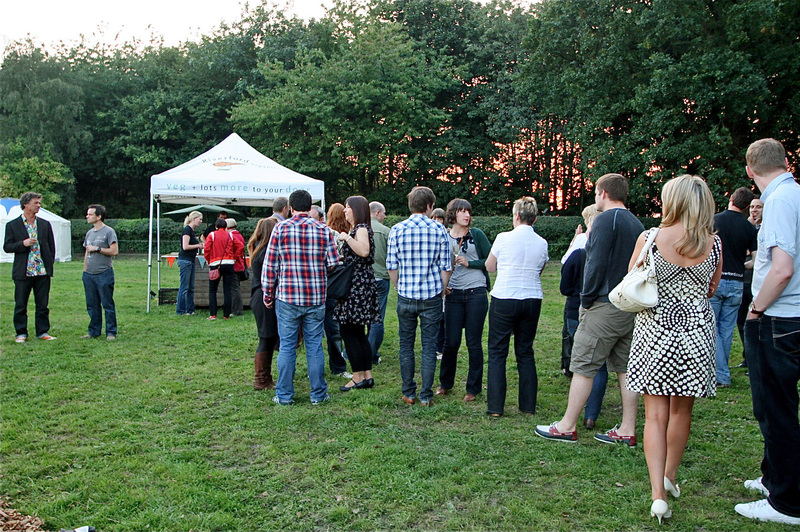 Lots of nervous looking foodies, the enthusiastic ManCon girls and the fact-filled Jonathan Schofield awaited us. From the latter we learned that Mick Hucknell never paid for his conquests’ taxis, the shop where Rio Ferdinand gets his hair cut and that girls take their knickers off under the Mancunian Way, so I’ll definitely be booking one of his tours next week. 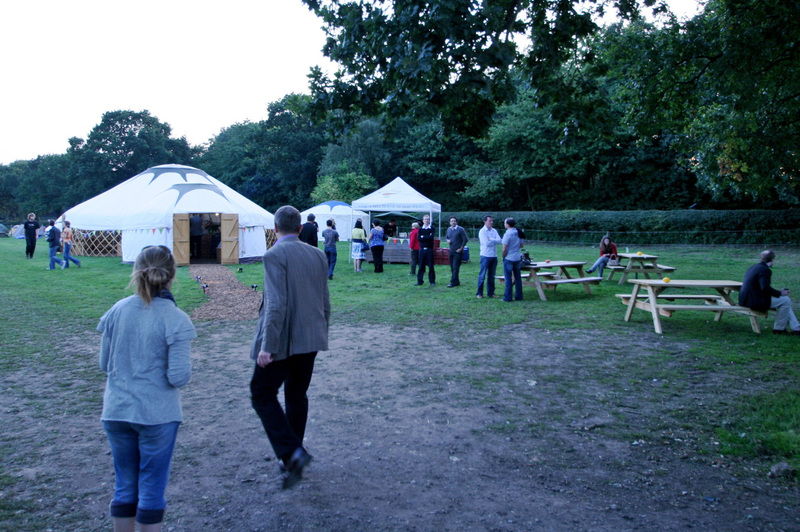 Deep into the heart of Cheshire we drove, on a beautiful evening and all looking out for The Yurt. 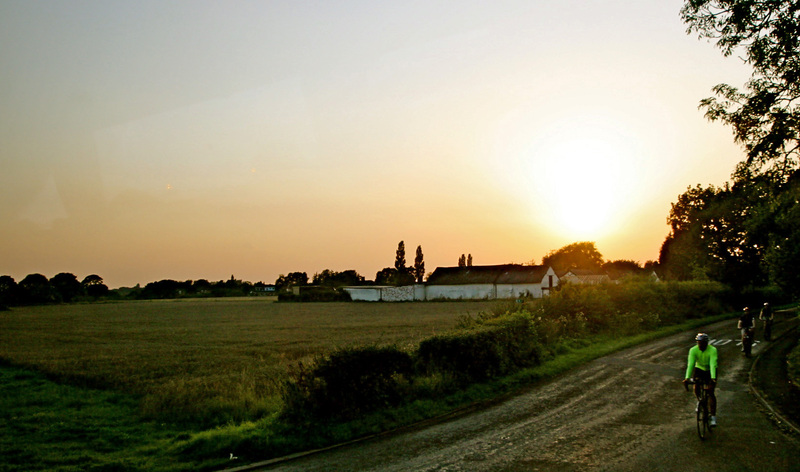 Incidentally not the building below, this is just when we pulled over for a tractor and it looked purdy. Finally we reached Arley Hall (home to the country’s first herbaceous border, thank you Jonathan) and hung a left to the estate’s 750 acre organic Stockley Farm, temporary home to the Travelling Kitchen. 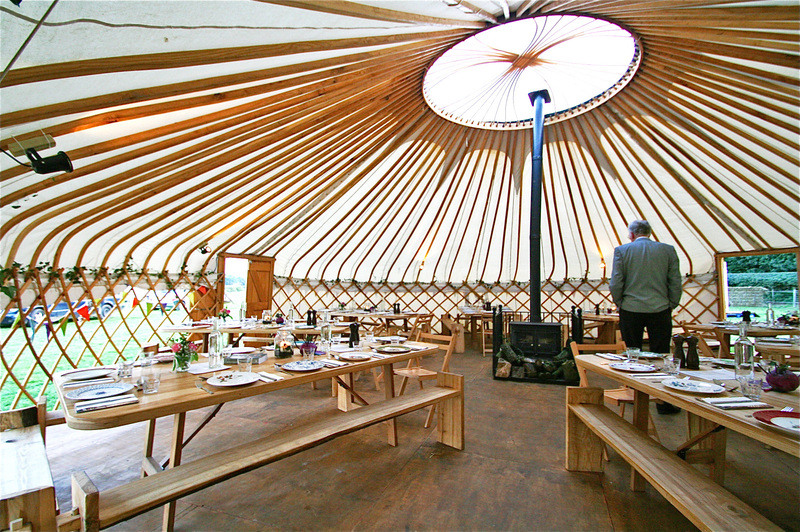 The Yurt was in sight, and what a sight, a circular tent with a lattice frame carved from ash from the trees at Riverford’s Wash Farm in Devon. 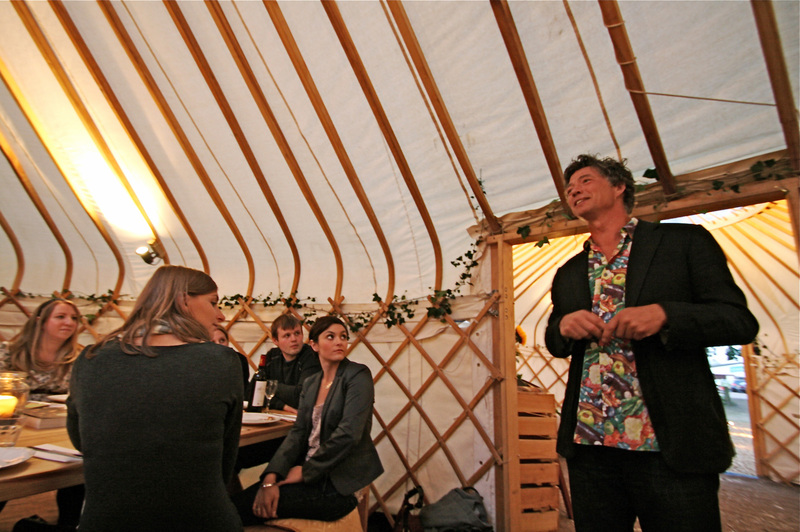 Traditionally a nomadic structure in Central Asia, Guy Watson used one for a staff party and the idea was born to take one out on the road, genius! Our view as we approached the travelling kitchen site, boots are a good idea! Stomach’s were grumbling now and we were all dying to see inside, so an orderly queue formed and in we went. 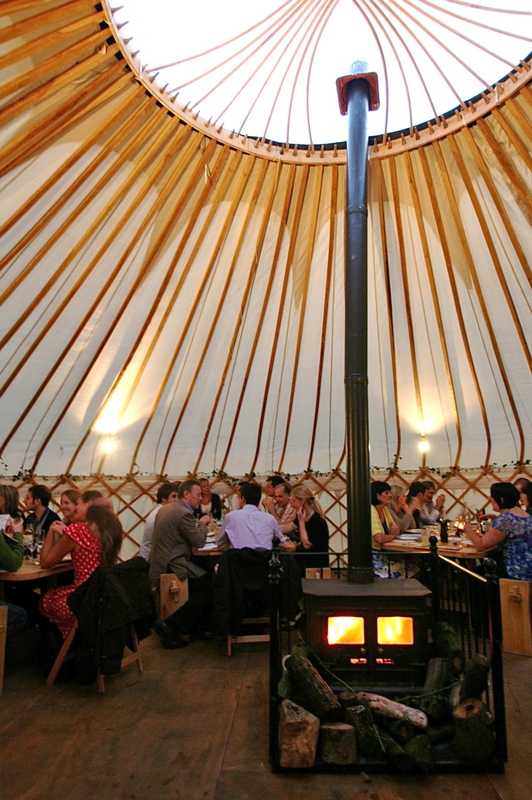 It was really well organised and just such a lovely experience to be milling around with drinks outside on a balmy evening, then wander into this huge tent for what was a surprise meal as no-one had a clue what was to be served…. How amazing are these images, part of the structure was covered and part open, with a large wood burning stove in the middle. 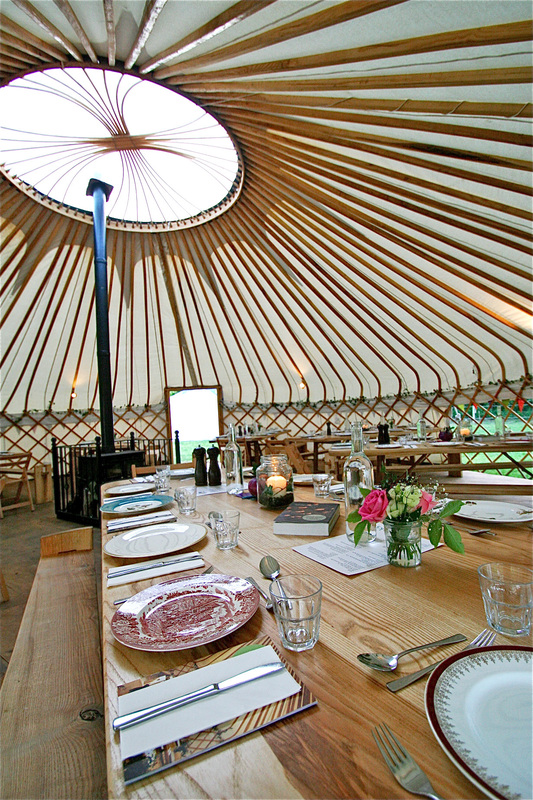 The crockery was perfectly eclectic and mis-matched, the table decor delightfully natural and the shape and feel to the yurt elegant, sweeping and unforgettable. Could it get any better?! Er, yes, the food. Oh my lord, the food. 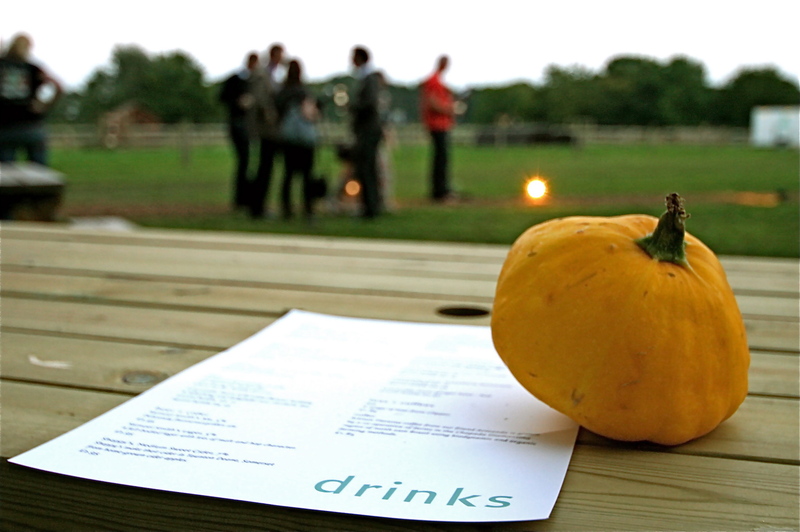 It was spectacular, bursting with flavour and unusual combinations. 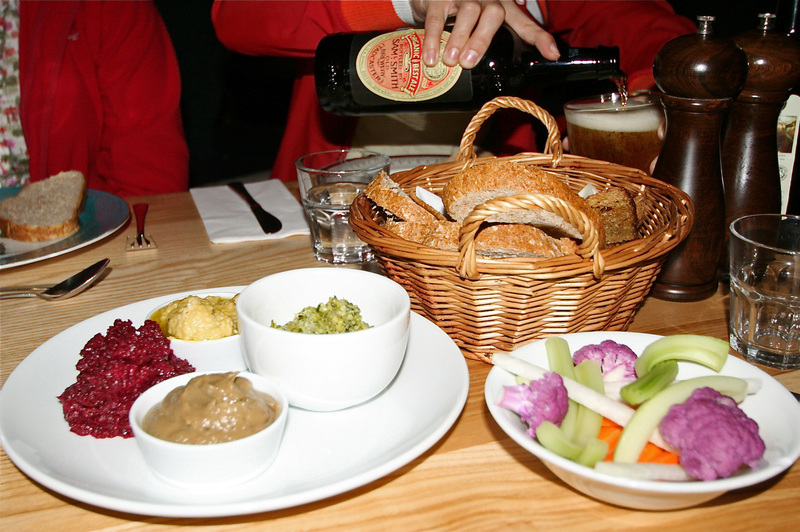 Below was our first course nibbles – crunchy veg and fresh bread with beetroot & balsamic vinegar dip, baba ganoush (smoky aubergine), a broccoli dip and hummus, all fresh, home grown and just delicious. 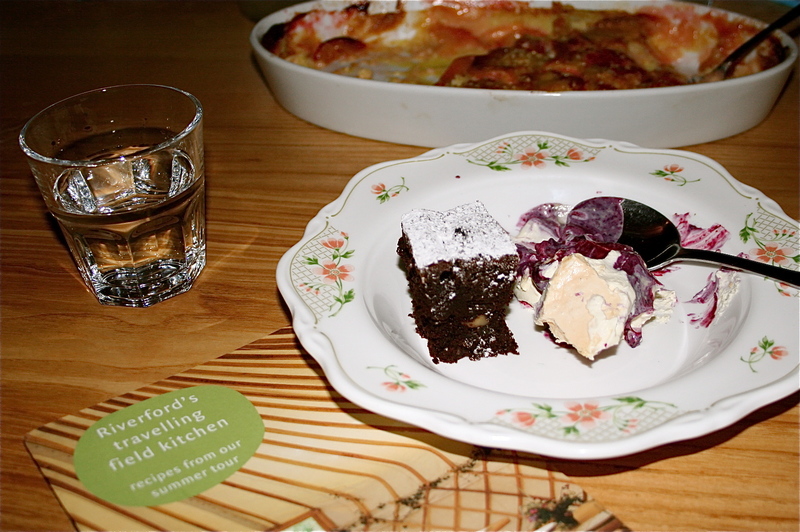 Check out the recipes on the Riverford web-site. 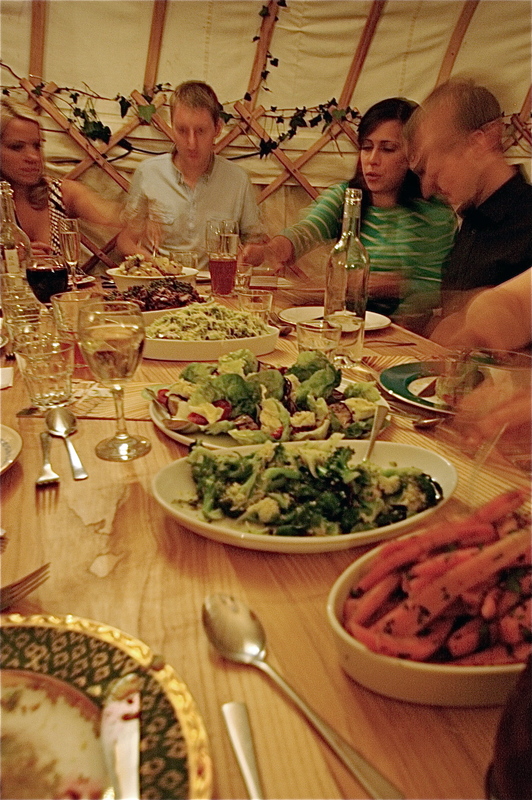 And so to the main courses, a dazzling array of action packed veg dishes where the tastes just exploded in your mouth. Not here the soggy apologies for veg you often get in British restaurants, the limp, overpriced mini-dishes almost added as an afterthought. Nope, these were full on bowls of heaven, curly cabbage liberally tossed in parmesan, perfectly crunchy carrots doused in honey and herbs, a little gem salad of roasted tomatoes and aubergine and the most tender, flavour stuffed shreds of lamb I’ve ever had. What else can I say, you must go, it’s a totally fabulous experience. The staff were lovely, the service excellent and the puddings, oh the puddings. It’s worth going for the double chocolate brownies alone 🙂 They even brought Mr M a special serving of fruit as he doesn’t ‘do’ pudding, the weirdo. This incredible event will only be in Cheshire for a week or so, so get down whilst you can, I may well see you there….. It seriously was, highly recommended! Great pics and an excellent evening by the looks of things. What a fantastic review, thanks so much Moregeous. 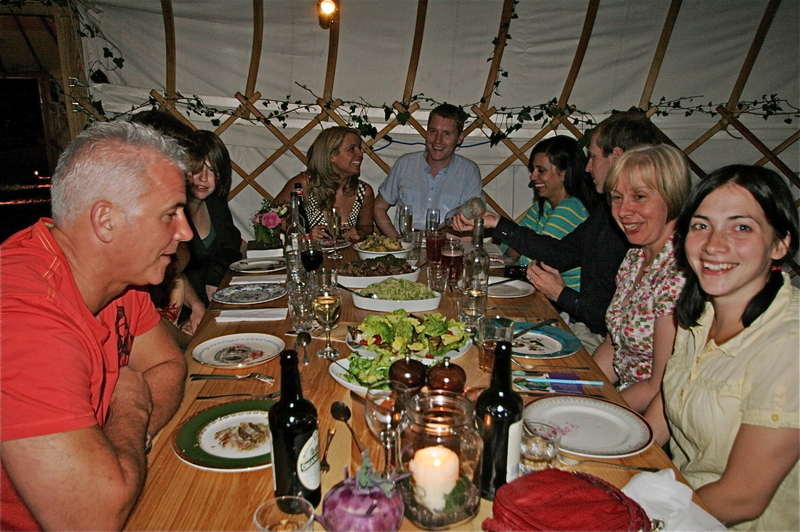 Glad you enjoyed our yurt and veg!